You could be forgiven for thinking that an Apple flak penned the above lines. That, however, would be no closer to the truth, than Apple’s nearest rivals are to catching up with the tech giant. 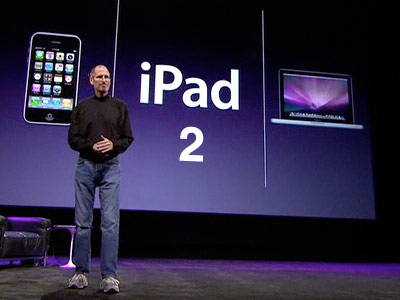 These are, in fact, the carefully considered and meticulously measured words of various brokerages, that they issued in response to Apple’s launch of the iPad 2 on March 2. It makes me wonder why ever Apple would need to spend a single penny on public relations. With analysts so deeply in love with the company and its array of blockbuster products, who needs the services of a public relations officer? An Omnicom’s Interbrand brand consultancy division report shows that Apple products were placed in 10 of the top 30 Hollywood films in 2010. And that is actually down from 50 percent in 2008, and 44 percent in 2009! I find it amusing that while on one side Apple coughs up hundreds and thousands of dollars to project their company/products favourably, brokerages/analysts are willing to afford them stellar coverage, in most cases for free! Frankly, analysts seem to have let down their guard. People who usually jump at the faintest sign of weakness in a company’s balance sheet, commentary, outlook and are wont to keep their comments guarded, brief and lined with caveats, suddenly seem to be outdoing each other in waxing eloquent. Some of their comments and the general sense of the whole of their notes belie the fact that these are the guys that investors are relying on to do a critical evaluation of the company. And if you are still not convinced about Apple’s love affair with stock analysts just take a look at the brokerage recommendations. Of the 54 analysts surveyed by Thomson Reuters 50 have a “buy” or a “strong buy” rating on the stock. That’s a staggering 93 percent. I doubt if I could get my blood relatives to confess their love for me so unanimously. Even if Apple is in truth all it is touted to be, it is unhealthy and dangerous for analysts — the people we trust to study and analyse the company in an objective manner – to be so lyrically adulatory and in such a unanimous manner at that. Clearly Steve Jobs being on the stage for the launch is almost as fascinating an idea as the company’s new product itself. A fantastic case of “the Man “ and “the Machine” coming together to take a company to heady heights. To my mind the obvious reason (legitimate or otherwise) for the way analysts adulate Apple and Jobs, is their success. Nothing succeeds like success. Success, however, may be fleeting and one must be alert to the possibility of things going wrong. The “truly, madly and deeply in love” tone of most of the analyst notes can hardly be the end result of a critical, alert and objective approach. Whether it is the charisma of Steve Jobs or the sheer magic of its products Apple certainly has stock analysts wrapped around its little finger. It is for lesser companies to shell out oodles of cash on splashy advertising campaigns and carefully thought out promotional events. All Apple needs to do is to have Steve Jobs take the stage with whatever it is that the company is launching. And then the company can sit back and enjoy the applause.